How Long Will The Proform Pro 12.9 Last? Despite our frustrations with Proform's transparency, we cannot ignore the quality that the Pro 12.9 is built with. The ellipticals in this price range certainly cater to a slightly serious exerciser and the Pro 12.9 is no exception. If you enjoy sleek electronics and moderate workouts every other day, then the Pro 12.9 is likely to provide a good experience for many years. With that said, please just be sure to take good care of your investment. Even though Proform won't make their information readily available to you, we do. We have many articles and videos that offer simple solutions and daily upkeep tips that will help you see the most bang for your buck. Proform's Pro 12.9 has won our First Place 2019 Best Buy Award for the $1,000 to $1,499-dollar price range thanks to its good quality and affordable price. We like the solid build, functional features, and improved programming that come with this model. While we do have a few frustrations with Proform's product information, customer service, and iFit attachment, we still recognize the of value that Proform has put into to Pro 12.9. First, the good news. The Pro 12.9 offers a relatively good balance between style and substance. This elliptical comes with thirty-five preprogrammed workouts, a seven-inch touchscreen, and automated stride length and resistance levels. These programming features are then matched with a sturdy build and a heavier flywheel. We like to see heavier flywheels as they tend to provide a smoother feel during the workout. We also like to see companies that match their product's quality with a valuable warranty. Proform has included a five-year-parts and a two-year labor warranty. Typically, from one price bracket to the next, companies tend to only inch up the warranty by adding one extra year to either the labor or parts portion. Proform has beefed up their warranty for the Pro 12.9 and it shows that they stand behind its value. All of these are respectable features and helped land the Pro 12.9 the First Place Award. But, where would one of our reviews be if we did not also talk about the things that we do not like? For starters, Icon, Proform's parent company, has really dived into the whole iFit Coach programming. We do like that they have started to include a one-year free subscription. Still, one cannot ignore the fact that once that year is up, the elliptical loses its value a bit. Part of the Pro 12.9's price tag is derived from the iFit compatible programming. But, if you do not want to pay upwards of $30 dollars a month after shelling out over a thousand dollars on an elliptical, then you do not get to the most out of your investment. It's kind of like those hundred-dollar toy trucks that require about fifty dollars' worth of batteries every month. You are left basically left with a new monthly payment when you thought it was a one and done kind of deal. Secondly, we do not like the fact that you have to manually adjust the incline. The next model up is a little more money and has an automated incline which makes it obvious why Proform left that feature out of the Pro 12.9. Or, at least, a manual incline is what can be deduced from the website. In all reality, one cannot clearly figure out whether or not the Pro 12.9 has a manual incline or not. Nor can one figure out what the elliptical actually weighs or, worst of all, the dimensions of the machine. Proform says that the Pro 12.9 has a "sophisticated, small footprint." I'm not sure about you, but I wouldn't be feeling very sophisticated when I have two guys charging me by the hour who can't seem to fit the small sophistication through the doorway. You are spending nearly fifteen hundred dollars on some workout equipment; the least Proform could do is tell you how big it is going to be so you can figure out how to maneuver it. But we should only expect poor customer interface from the company who has built a reputation for poor customer service. Over the years, we have remarked that the Pro 12.9 is a fantastic elliptical with a respectable price point. We have said that the value at this price is a good deal. The only major drawback that we have noticed with this machine is the poor customer service that comes with it. 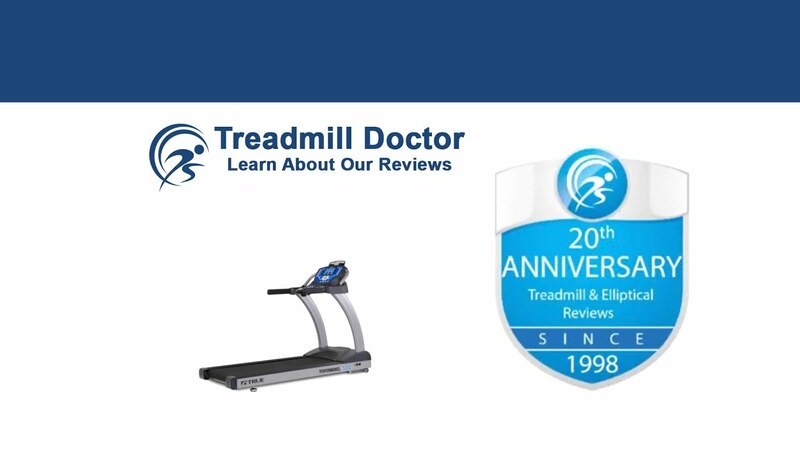 Though we are not pleased with the iFit add-on or Proform’s withholding of product information, we cannot ignore the fact that they have produced a valuable elliptical at a reasonable price. The Pro 12.9 comes with many utility-based features while also offering you a few of the programming luxuries that Proform has continued to improve. We would recommend our 2019 First Place Best Buy Winner among the $1,000 to $1,499-dollar category for a light to a moderate user who enjoys workouts on an every-other-day basis.